*MAHA SANKALPAM IS A PROGRAMME TO ENRICH THE STUDY SKILL IN SSC STUDENTS. *THE MAIN OBJECTIVE OF MAHA SANKALPAM IS IMPROVE RESULTS IN SSC MARCH 2016. 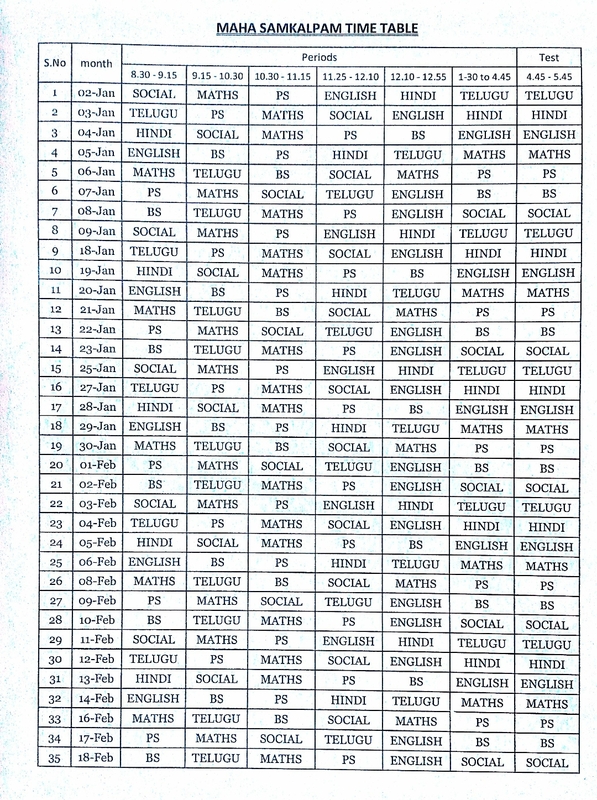 *HERE IS A ATTACHMENT THAT IS A BLUE PRINT OF EACH SUBJECT IN MAHA SANKALPAM PROGRAMME. *IN THIS PROGRAMME EACH SUBJECT DIVIDES INTO 5 PARTS.SO 7*5=35 PARTS. *AND every DAY SCHEDULE IS ALSO PROVIDED BY DEO,CHITTOOR. *EVERY DAY 1 EXAM WILL BE CONDUCTED IN SCHOOL LEVEL. 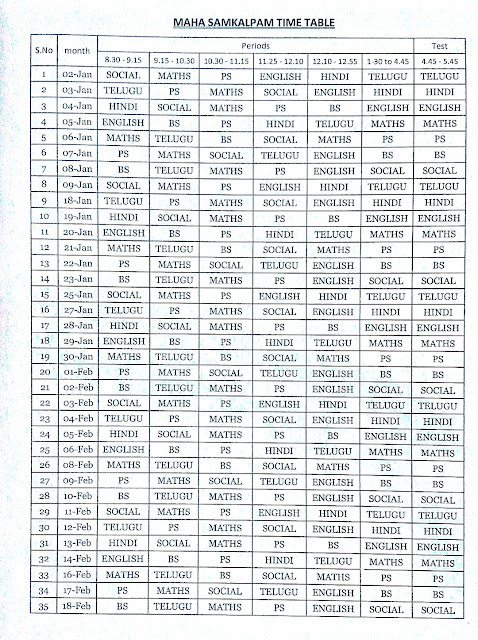 *EVERY DAY 2.00 PM THE QUESTION PAPER WILL BE PUBLISHED IN www.deochittoor.org AND IN OUR WEBSITE www.atecher.in ALSO. *AFTER DOWNLOADING THE QUESTION PAPER EVERY HEAD MASTER WILL MADE XEROX THE COPIES AND SUPPLY TO THE STUDENTS. *THIS PROCESS IS SUPERVISE BY EVERY MANDAL NODAL HEADMASTER AND HIS CREW. *SO THIS PROGRAMME EVERY STUDENT HAVE MUCH PRACTICE IN DOMAIN IN EVERY SUBJECT.ALL THE BEST FROM www.ateacher.in TEAM.